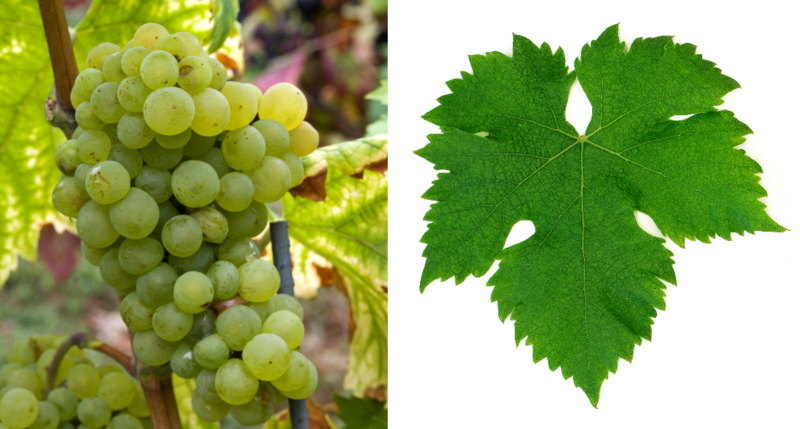 The white grape comes from Hungary, Synonyms are Budai Goher, Fehérszölö, Hosszunyelu, Jufarco, Juhfarku, Lamb Tail, Mohacsi, Mustafer, Sárfehér and Tailors. The name derives from the elongated cylinder shape of the grapes. The descent is still unclear because three DNA analysis have yielded three different DNA profiles. It may, despite seemingly suggestive synonyms or morphological Similarities do not match the varieties Csomorika (Lamb's tail), Hosszunyelü. Mustoasă de Măderat (Mustafer) or Sárfehér be confused. The medium-maturing, high-yielding vine is prone to Botrytis and wrong mildew and sensitive to wintry frost, It produces acidic, rustic white wines. The variety was in Hungary and also in the Burgenland (Austria) in the 19th century before the phylloxera widely used. Today she is mostly in the field Somló north of Lake Balaton ( Balaton ) and often with Furmint and Olaszrizling ( Riesling ) blended. In 2010, 186 hectares of vineyards were recorded in Hungary (Kym Anderson ). This page was last modified at 25 February 2018 at 19:35.